I was in the car with my husband and son a few days before Diwali. “Guys! Both of you need new clothes for Diwali.” I said, hoping we can stop somewhere enroute. “No!” both father and son cried out in unison. “We don’t need new clothes & that’s final!” said my son. “Exactly!” chimed in my husband. “How come you insist on a Christmas tree every year? And insists on gifts under it, even after you figured out that I was the Santa all along?” I countered. I saw red. He managed to get my goat on festive spirit and patriotism at one shot. But reining my irk I plodded on. “Diwali is a beautiful festival. 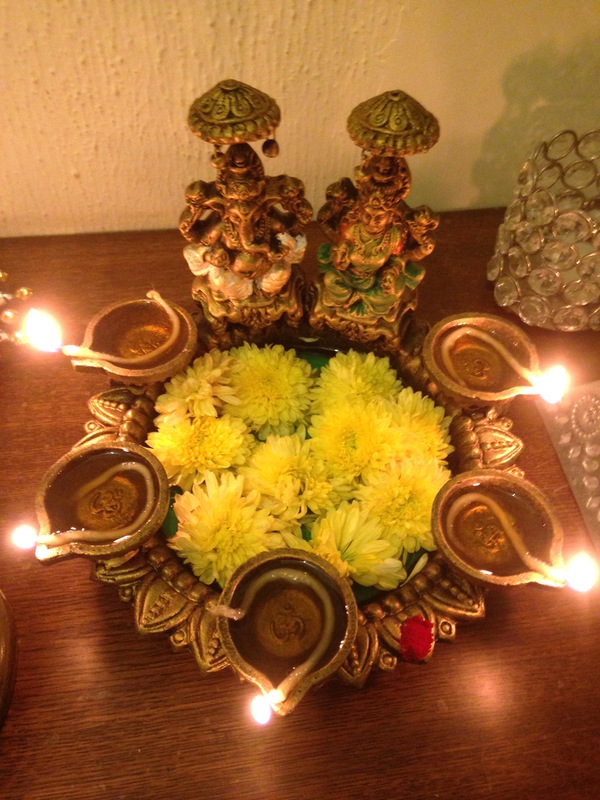 I have fond memories of waking up early in the morning, ganga snanam, yummy sweets, lighting up diyas… ” I reminisced. “Not interested…” My son muttered. … drawing kolams, and visiting my grand mom in new clothes…” I continued, as if I hadn’t heard him. “Can you help me decorate the house this time?” I asked him. “And you know what? I just realised we never do anything fun as a family.” I said. “Like what?” asked my son, fingers still clicking on his gaming device. “Because Amma, we’re not a regular family! We’re special! So don’t make us a regular family by suggesting these things!” he grinned. My husband laughed out loud, proud of his son’s wit. “I’d much rather you adopt a dog!” he replied hopefully. “So I get to clean after one more person? No thanks!” I said sullenly. I maintained a tight-lipped silence till we reached home, all the while wondering how the male species is so different and how jealously they guard their personal spaces and how they avoid any kind of obvious bonding with their families. If my son had his PSP, my husband has his phone and facebook. On a saturday, a few days after Diwali, we were out with friends for dinner. My son’s best friend, (whom he fondly calls his weekend bro) came back home with us for a sleepover. My husband had just landed home from the airport and called me to say there was no power at home. My phone’s battery was really low. So I culdn’t call the Electricity Board. Once we reached home, we found my tired husband snoring away in the bedroom, with a fan on, thanks to the invertor. We cautiously switched on one light in the drawing room and sat around cursing our fate. It was past 11 and both the boys were very tired after playing football all evening. “Why don’t both of you go sleep with Appa on the big bed?” I suggested. “What about you?” Asked my son. “I’m charging my phone on the comp, so I’ll wait for a while. If the power is not back, I’ll drag a quilt and sleep on the floor.” I told him. Soon the boys had brushed their teeth and went to sleep near my husband. I picked up a book and lay down on the drawing room sofa to while away the time till my phone charged. A few minutes later, my son wandered back to me. “No, Amma.. I cannot sleep…” he insisted. “What about your friend?” I asked him. “So are you..” I said. But he refused to go to sleep and sat around very sullenly. A few minutes later, the power was back. “Now what?” asked my son. I was touched he remembered this from what I’d told him in passing a year ago. He insisted his friend was fast asleep anyway and will not mind. “I’m just concerned about you, okay?” he said and that was final.